1. 1. What inspired you to write your book? I had recently retired from a twenty-five-year career on Capitol Hill. I had some great experiences there and I hoped to incorporate them into a novel that saw a more human side of a congressman’s life and what this particular person experienced after leaving Capitol Hill. It’s about a disgraced congressman who turns to the American heartland to find redemption in the eyes of his daughter and the woman he loves; the woman who has taught him to love again. Stripped of the detachment that characterized his early years in congress, Fran is drawn to an everyman perspective. What breeds inaction and apathy? How do we jumpstart a deeper connection to the injustices we see every day? How far will we humble ourselves to help those with few resources? That they might consider those same questions. As a matter of fact, this novel is part of a series called Writing for Change, as you’ll see at my website, www.richgaron.com. Proceeds from the sale of this novel will go to WhyHunger, a non-profit in New York City that I’ve worked with, which has been fighting hunger problems for the past forty years. I have three more manuscripts that will be released in this Writing for Change series with proceeds in each case going to fight one of the critical problems we face as a society. Read a lot to develop writing skills and about how the book publishing industry works. Be patient and flexible. That’s a tough question for someone who has just released a debut novel. I’d say self-publishing is gaining more standing, and social media elements, such as blogs, play a critical role in developing readership. This was the second manuscript I completed. As I found out, there can be a lot of moving parts in a novel and they all have to be in sync. It took a lot of re-writing, good constructive feedback from manuscript readers, and a fantastically-talented editor. Early on, a well-known writer I had gotten to know said, “Never Give Up.” That email is taped to the top of my desk. I believe the story of Congressman Fran Stewart is a story for a time when compassion and tolerance are often overwhelmed by strident tones and lack of basic civility. I hope people might see that as a good enough reason to buy the book. Rich Garon received both his M.A. and Ph.D. in Politics from New York University and began a career on Capitol Hill that lasted for more than 25 years. For the last six of those years he served as Chief-of-Staff, Committee on International Relations, U.S. House of Representatives. He currently chairs the Serve (Outreach and Mission) Committee at the Immanuel Anglican Church in Woodbridge, VA and coordinates the Homeless Ministry, with an emphasis on those living in the woods. He was named to the Board of Directors of the Greater Prince William County [VA] Community Health Center, and conducts mission trips with his wife, Karen, to Bolivia to support church-building in several areas including what began as a tent city. For more information, please visit www.richgaron.com, and connect with Garon through Facebook, Twitter, and Goodreads. Felling Big Trees is available for preorder on Amazon and for immediate purchase on BookBaby. Will You Fight King Trump’s Era Of Big Ignorance? How Would Madison Avenue Hawk Your Book? Author Blogs: What Should They Say? Printed Books Up 3 Years In A Row! Chinese Ban of NYT App A Disgrace! Can You Write Better Than A 6th-Grader? 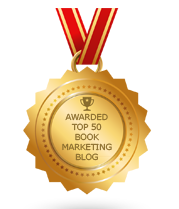 The Book Publishing Game: Will You Play? Why Do You Want 20,000 Linked In Connections?